I have been asked quite a few times whether I like Mr Sketch Scented crayons or Crayola Silly Scents Scented crayons better. The verdict, Mr. 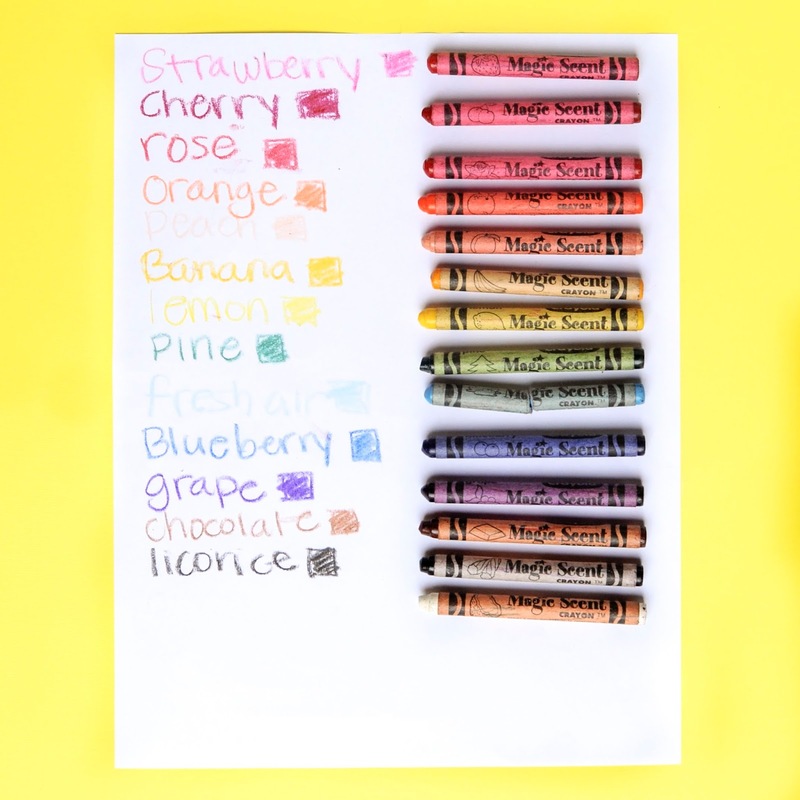 Sketch scented crayons are slightly better. For the purposes of this study I looked at the 12 count boxes from each company. 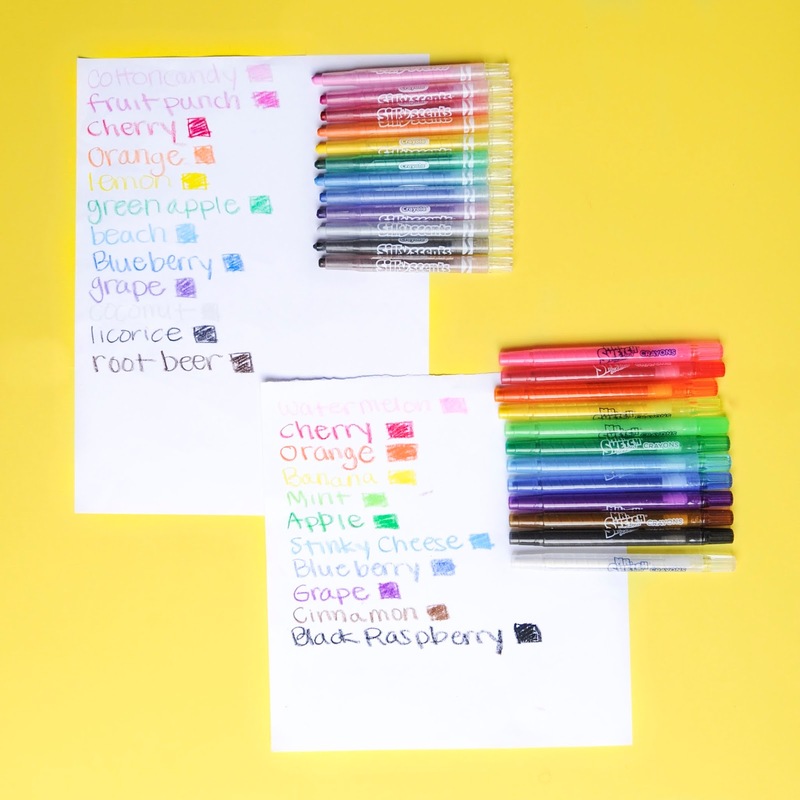 I received the Crayola Silly Scents from Crayola for review. I bought the Mr Sketch box. The samples from each are above. They were basically the same colors, and almost similar scents. 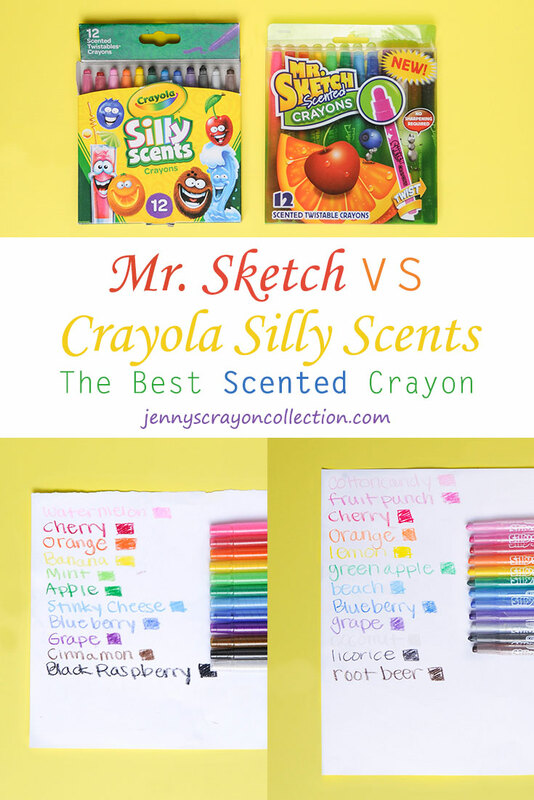 I also made a YouTube video showing the Mr Sketch vs Crayola Silly Scents showdown. 1. Box Design-Mr Sketch wins the box design award. The box opens like a standard tuck box. It is relatively simple to open. The Crayola Silly Scent box is very hard to open. There is a tab on the box which tears easily when trying to open. The also somewhat opens, but I do not think that was the intended purpose for that design. And do not get me started on the 24 count box. It takes a good five minutes just to get the crayons back in the box. 2. Laydown-Crayola has a slight edge in this category. The crayon laydown is very nice and much like their other crayon products. Mr Sketch goes on thick, but may be more prone to smudges and flaking because it goes on too thick. 3. Color Vibrance-Mr Sketch wins this category. Maybe it is because the laydown is thicker, but the colors are definitely more vibrant. 4. Cost-Mr. Sketch and Crayola tie in this category. The cost is relatively the same depending on where the crayons are purchased. 5. Colors and Scent Availability-Crayola and Mr Sketch tied in this category. There were some colors in Mr Sketch that I loved, like Vanilla, etc...but there were some I liked in the Crayola Silly Scents better. I did not like Stinky cheese from the Mr Sketch or licorice from the Crayola Silly Scents line. 6. Smell-Mr. Sketch won this category. Why? I could smell the scents a lot better. But I must confess that once more than one scent was put down on both papers the scents became a little jumbled. Overall Mr. Sketch won the best crayon in the Mr. 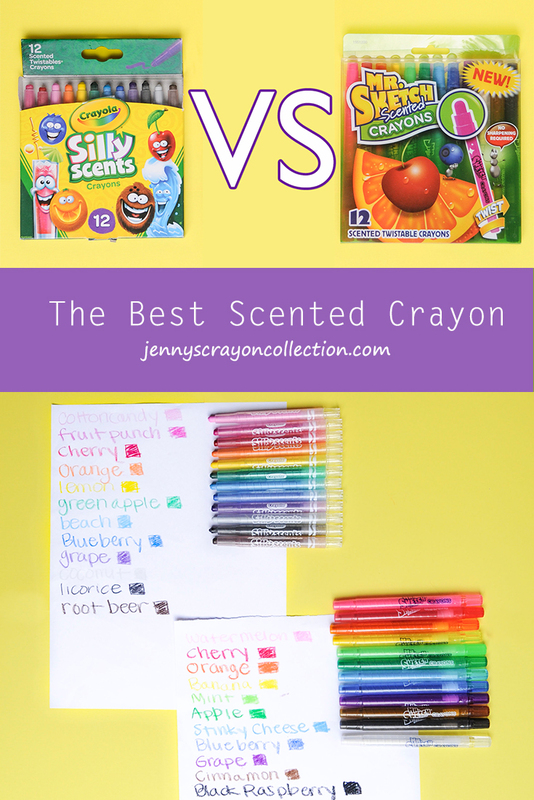 Sketch versus Crayola Silly Scents, but by a narrow margin. I would buy either one and your kids would love them. I can not see where these two companies take their scented crayons. 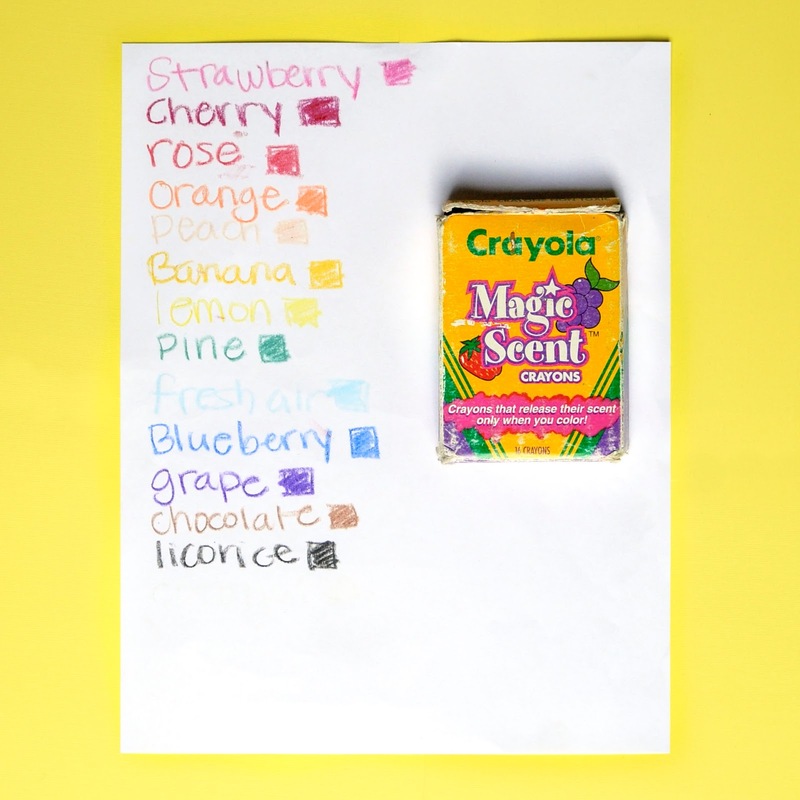 Now that I have answered the winner for Mr Sketch vs Crayola Silly Scents, the best scented crayon box goes to Crayola Magic Scents from the 1990's. Why? The laydown was great, the colors were amazing, the box design was simple and the most important reason the smells were very distinct. I could smell every smell as it hit the paper. Whatever Crayola did with those crayons they need to do again. They are hands down the best scented crayon out there. Go out and get yours today!